Small Animal Talk: Vets and cooking: what I've learned so far. Vets and cooking: what I've learned so far. Leftover dough from my biscuit recipe has been used in this incidence to convey the nature of my post-festive case load (i.e. 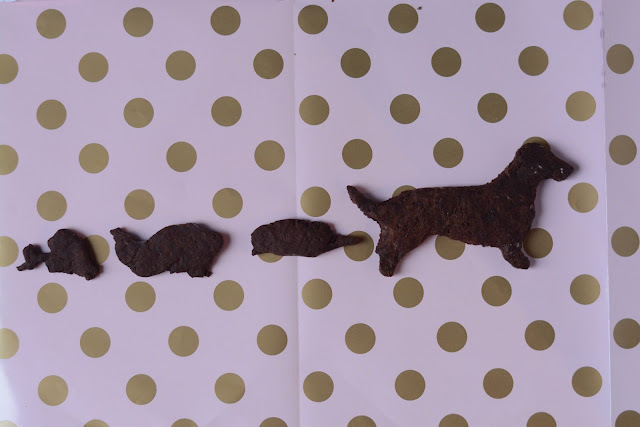 I saw a lot of dogs with diarrhoea after they indulged in ham, lamb and sausages). Cathartic and delicious! (Photo - Dr Deepa Gopinath). Around the middle of 2016 I was part of a team that hatched a plan for a project to promote collegiality in the veterinary profession. Like many projects, this started with a small, humble goal (to produce an e-book with 5-10 recipes) which developed into a major objective (to compile 100 or so recipes from vets and nurses into a print book in an effort to fundraise for veterinary mental health charities). Exotic salsa (photo by Steve Gibson). We’re halfway there. We’ve been inundated with inquiries, and clocked 85 recipes from vets, nurses, receptionists, pathologists, dog groomers, parasitologists, laboratory technicians, specialist surgeons and kennelhands. (We’re accepting entries til January 31). We've had some exceptional mental-health experts provide self-care tips. Shortly we will enter phase two, which involves editing, formatting, and potentially crowdfunding to print this amazing tome. 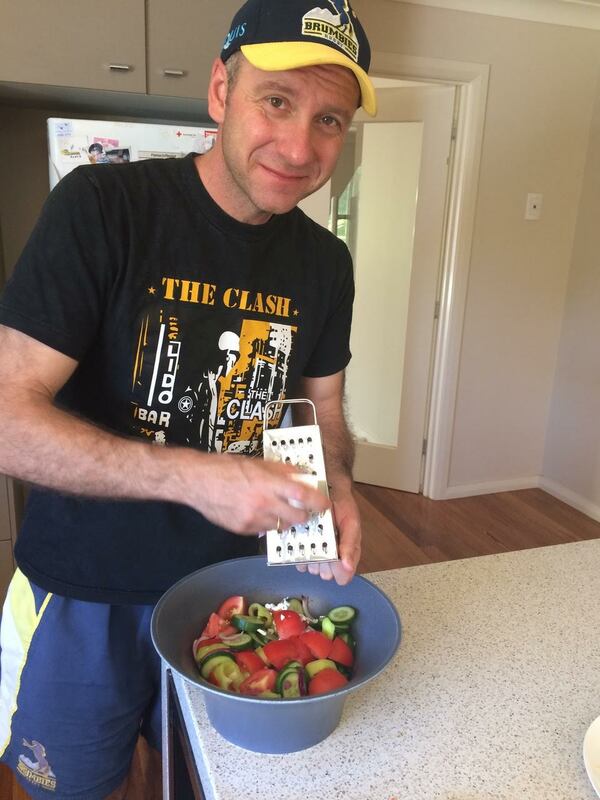 Ivan makes his signature salad (Photo: Ivan Gavazov). One of the highlights of this week has having co-editor, veterinarian and foodie Deepa Gopinath over to mine to test some of the recipes. This is science at its most delicious, without the pressure. One of the aims of the project is exactly this – to encourage people to get together and make, test and (hopefully) enjoy food and each other’s company. To our delight it has been happening. We’ve received photos from cooking sessions from around Australia and overseas. People have been making plans to hang out, cook together and eat and chat! Face to face as opposed to online. Perhaps inevitably, the Labrador is the breed that features most heavily in the background of these photos. The occasional feline has assisted in food preparation. (Photo - Jenna Moss Davis). We measure everything by its outcome these days, but this project has most definitely been about the journey. Here are a couple of things I’ve learned along the way. Vets love chocolate. As if we needed any more evidence to prove. At least 10 per cent of our recipes involve chocolate in some form or other. If this collection does not satisfy your appetite for chocolate cake, biscuits, brownies or pudding, I don’t know what will. There are gluten-free, nut-free and vegan varieties so no one has to miss out. We didn’t plan a chocolate chapter when we set this up, but it looks like we need one. The people have spoken. Cooking is a great way to spend time! Not only is it relaxing (except when attempts to substitute a Nutribullet for a food processor throw a spanner in the works – see below), its potentially social AND you can enjoy (and share) the fruits of your labour. If you’re clever you can dine off them all week. There’s nothing like rocking up to work with a delicious home-made lunch and knowing you won’t have to try to scrounge something from the staff room or survive off junk food. The majority of vets and nurses (n=200+ that we’ve asked) will tell you that they cannot cook. They can repair complex fractures, resuscitate a moribund animal, treat and rare and exotic species, diagnose hyperadrenocorticism or a pheochromocytoma, manage diverse teams, place an IV catheter in tiny kitten, approach a horse with a potentially fatal zoonotic disease or lance a basketball-sized abscess on a cow, but ask them to assemble something other than toast or cereal and they will tell you it can’t be done. 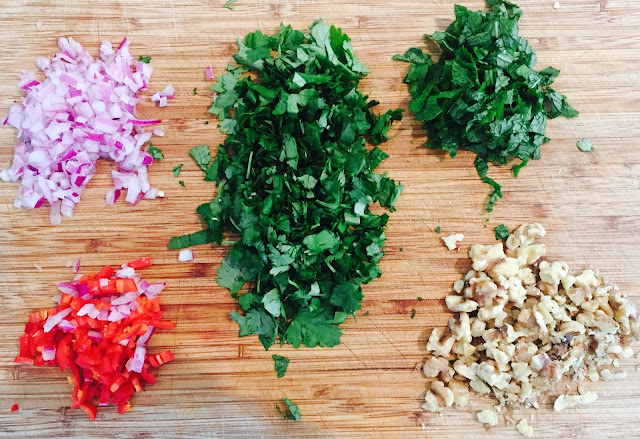 Is it perfectionism creeping into the kitchen? Fear of failure? An aversive food experience haunting them? Reliance on home-delivery? I don’t know but I feel like “home economics” should be a subject in veterinary school. I don’t have the stats to prove it, but there’s a good chance that our non-human animal companions are more likely to be enjoying a complete, balanced nutritious diet than ourselves. A Nutribullet should not be used instead of a food processor. They both kind of pulverise things, which you’d think would yield the same result, but for whatever reason this not so. I’ve tested this several times now – with potatoes, cashews and the like – and each time it has ended in total disaster. You wouldn’t perform dentistry or surgery without the right tools, and apparently the same applies in the kitchen. Sometimes. Occasionally you can get away with it but it seems to be only the food-literate like my co-editors who know when to substitute a teaspoon for a piping bag and still get a good result. Contribute an original recipe. Just email vetcookbook[at]gmail.com for our instructions. Provide a story, cartoon, photo, illustration, poem or something else we can print relating to the best advice you’ve ever had, overcoming a challenging time or helping a colleague. Tell us (and show us) how you chill out and wind down. We’re putting together a page on this and would love photos and ideas. Volunteer to test a recipe and photograph it for us. A small number of contributors have sent us the recipe but no photos, but we feel the photos are helpful for people to have a photo of the recipe as some of us (e.g. Anne) can’t tell what it might look like by reading the text alone when others can read a recipe like Mozart reads music (e.g. Deepa and Asti). We’ve also discovered some potential recipe pitfalls and modifications in the testing phase (e.g. my chocolate biscuits have been infinitely improved thank’s to Deepa’s suggestion to switch Nuttelex for coconut oil).